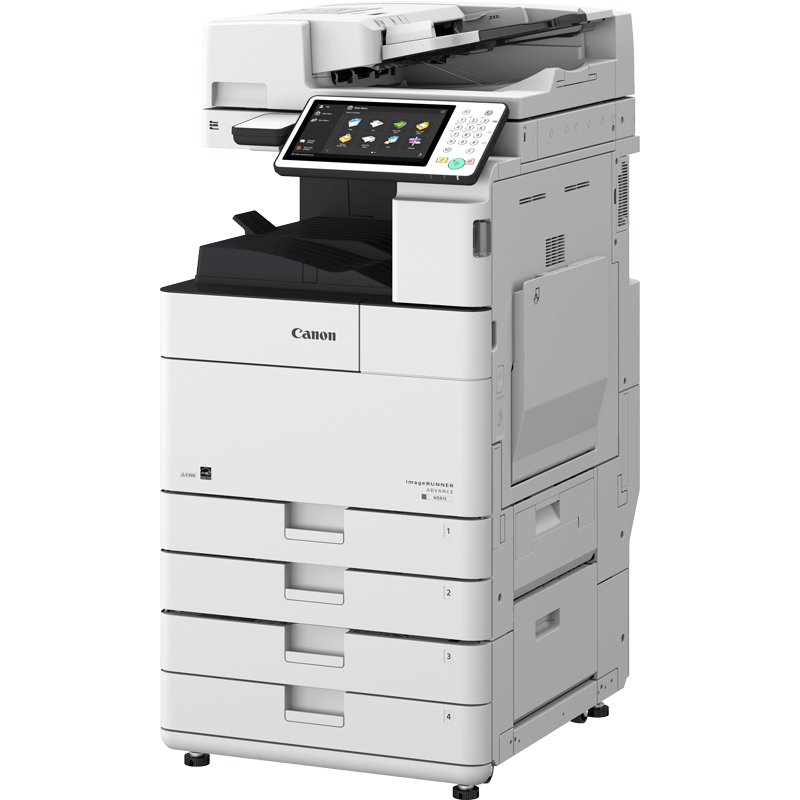 The New Canon imageRUNNER ADVANCE 4525i digital photocopier is now available replacing the iR-ADV 4225i. The new imageRUNNER ADVANCE 4500 series consists of four models of which the 4225i is the entry level device. This revised series of machines operate on the new 3rd generation of the imageRUNNER ADVANCE Platform which is consistent throughout the Canon range. There are many changes to the devices but most notable is the inclusion of "Scan to Searchable pdf" and "Hard Disc Secure Erase" both of which were previously chargeable extras. It is the perfect multifunctional device for the business that wants to consolidate all of its print and imaging functionality on one space-saving unit. The Canon imageRUNNER ADVANCE 4525i is the ideal multifunctional solution and provides print, copy, fax, scan and send. The new Canon iR-ADV 4525i digital photocopier offers you the complete solution for all of your print/scan and copy needs. Yes not only can you print and scan across your network but you can also print direct from a range of mobile devices including i-phones, i-pads and Android. Generation Three imageRUNNER products also come with Universal Login Manager which can be activated to give security and cost control/auditing of print. The ImageRUNNER ADVANCE 4225i will also be referred to as the iR4525, iR4525i and iR-ADV 4525i.